Why is Bo Tong and high Qualcomm merged with Intel? It has previously been reported that Intel is considering the acquisition of a Singapore chip maker of more than $100 billion in market value. Intel's move reflects one thing: they worry that if they succeed in acquiring Qualcomm, the completion of the merger will be a great threat to Intel. People familiar with the matter told the Wall Street journal that since the end of 2017, Intel has been trying to offer a bid to buy Broadcom, so as to prevent Broadcom's acquisition of Qualcomm at a price of 117 billion dollars. The source said that if Bo Tong and Qualcomm successfully merged, they will become the third largest chip companies in the world after Intel and Samsung, which will pose a serious threat to Intel's position in the market. Qualcomm and Bo Tong are the leaders of smart phone chips and data center chips, and these two areas are the future growth points of Intel. If Bo Tong and Qualcomm merged, it would be difficult for Intel to continue to gain growth in these two areas. In addition, Qualcomm has previously acquired the Holland autopilot maker NXP, which is the most important area for Intel's future. Stacy Lars and Stacy Rasgon said: "if Intel has completed the merger with Qualcomm, we will have a very strong competitor." He pointed out that the revenue of Broadcom and Qualcomm in the 2017 fiscal year will be close to 40 billion dollars, which will be very close to Intel's revenue in the same period of 63 billion dollars. At the same time, he also pointed out that he was not optimistic about the merger between Intel and Bo Tong, and he believed that Intel could not succeed in acquiring Bo Tong. Intel has been set up for 49 years, and in the history of 49 years, the company rarely has a large-scale acquisition case. One of the biggest acquisitions of the company was in 2015, when Intel bought Altera for $16 billion 700 million. Intel said in a statement that the focus of the company's current work is to integrate their recent acquisitions, make them successful, get the recognition of consumers, and bring rewards to shareholders. Intel refused to comment on the plan to buy the Bo Tong. Some analysts even think that the alliance between Intel and Bo Tong has no meaning and can not strengthen the strength of Intel. "I don't think this merger will benefit Intel," one analyst said. 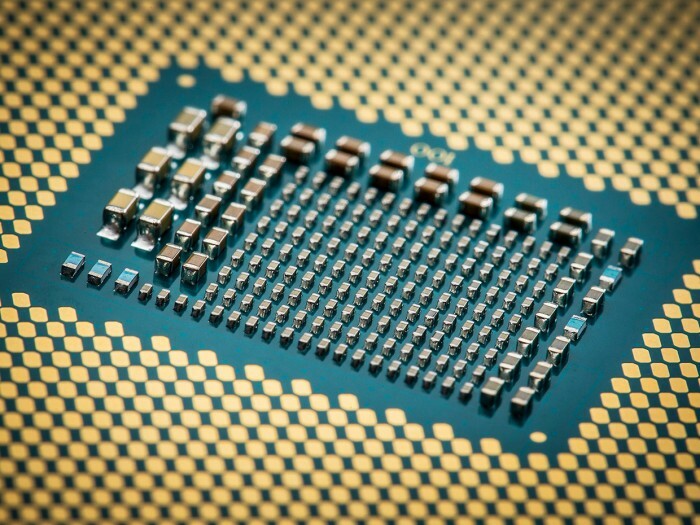 In his view, the combination of the product and Intel is not high enough to allow Intel to reduce manufacturing costs by expanding its production scale.